Gluten has gotten a lot of buzz recently. Gluten free diets are popping up everywhere, and restaurants advertise the fact that they can serve gluten free meals. 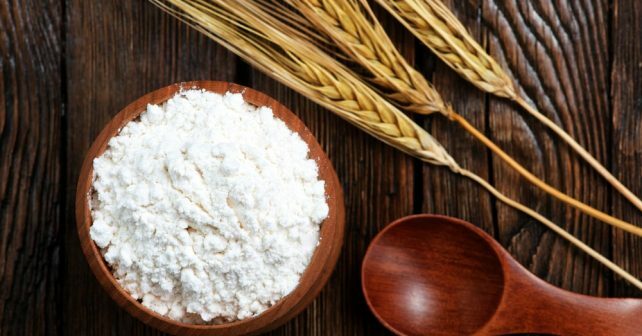 Aside from being the most recent health trend, though, most people don’t really have a solid understanding of what gluten is, or why it matters. Unfortunately, this leads to a large amount of misunderstandings about the significance of gluten. People will alter their entire lifestyle pointlessly, and misunderstandings about gluten can also lead to some real consequences for anyone who has a legitimate issue. Because of this, it’s important to clear up any misconceptions that you might have about gluten. Many people who claim to have an issue with gluten would be hard pressed to actually define what gluten is. Gluten is a term for the mixture of proteins that you find in many grains. It’s existence is what gives bread that stretchy, doughy texture. It doesn’t majorly factor into the nutrient content or the taste of breads, but it does function as the glue that holds dough together. Without gluten, bread simply wouldn’t hold its shape; the different taste you get from gluten-free breads is actually because of the different things that they’ve got to do to keep the dough together. These proteins aren’t only found in grains, either; a surprisingly wide variety of foods can possibly include gluten, including soy sauce, potato chips, salad dressings, candy, and a number of other potential sources. Celiac disease is a very serious autoimmune disorder involving the digestive system. Essentially, when someone with celiac consumes gluten, their body actually attacks the gluten. These attacks do damage to the small intestine, the organ that is responsible processing the food that you eat. Over time, this sustained damage will do permanent harm to the villi, small projections that are responsible for absorbing the nutrients, and nutrients will not be properly absorbed, leading to malnutrition. Celiac is a genetic disorder, which means it is hereditary; if someone in your family has celiac, it is much, much more likely that you also have celiac. If they’re in your immediate family, then you have a ten percent chance of also having celiac. If you have celiac disease, the health benefits of avoiding gluten cannot be overstated. The damage done to your digestive system is so significant and pronounced that a complete overhaul of your diet is an absolute necessity. And it isn’t like a diet, either, with cheat days, or like being diabetic, where you just have to regulate amount. Even just traces of gluten in the food of someone who has celiac can set off the autoimmune response, so there’s no such thing as an acceptable amount to consume. If you have celiac, it’s important to have a plan, stick to your diet, and always be vigilant when buying food or eating at restaurants. That said, if you don’t have celiac, there are no health benefits to avoiding gluten. Gluten doesn’t cause any harm whatsoever to a person that doesn’t have a negative reaction to them. The only argument in gluten avoidance’s favor is that many sources of gluten, especially white bread and processed grains, are not particularly good for you. Anything that retains the whole grain, though, like whole wheat bread or oatmeal, is quite good for your digestive system and is a recommended part of your diet. 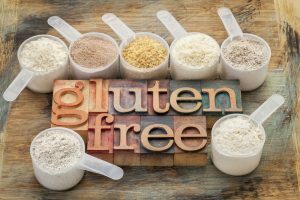 Don’t be fooled by fads and trends; if you don’t have celiac, you have no reason at all to avoid gluten, and you’ll only cause yourself and those who serve you a hassle by doing so. Far from being a health risk, there are a number of reported benefits of consuming gluten regularly. Contrary to what you might expect, one long term study showed that people who eat more gluten actually have less of a chance of developing type II diabetes. 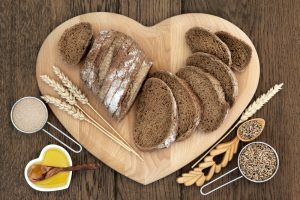 The whole grains that accompany gluten are extremely good for your heart, lowering your bad cholesterol and lessening your chances of developing heart disease, the number one killer in America. Gluten consumption is also associated with lower chances of colon cancer, and foods containing gluten are generally less likely to contain dangerous metals than gluten-free alternatives. Ultimately, the healthiest thing you can do is eat a wide variety of foods. The main benefit you get from the food you eat is in the nutrients you consume, and the wider variety you eat, the more different nutrients you can get. Eating healthier isn’t about restriction, it’s about choosing to eat the healthiest option in various food groups. There isn’t one type of food that is “good” or “bad”, there are good and bad types of ever type of food. White bread contains very little in terms of nutrients, but whole wheat bread is quite good for you. Eating lean meats and fish, lots of fruits and vegetables, foods high in unsaturated fats, and whole grains will take you a lot further than avoiding any one substance, especially one as harmless (to most) as gluten. There is a real cost to claiming gluten intolerance as well. If you say that you have an issue with gluten at a restaurant, then they are supposed to deal with that carefully, as it’s a potentially dangerous medical issue. However, if too many people ask for gluten free versions of food, especially food that would normally contain gluten at the restaurant, then servers and cooks start to get complacent. If twenty people come in a week claiming they have a gluten issue, and non of them have a bad reaction if, say, dust left behind after croutons are removed from a salad, then that creates a casual expectation. Then, when someone does come in with celiac, and a cook is a bit too careless about their food, they can have a serious reaction. Leave avoiding gluten to those who really need to, keeping the world safer for them, and keep yourself healthier in the meantime.